I can't believe I'm doing this, but I am going to sell my Bobby Stanfield Celestial Navigator that he custom built for me in this smaller size in 1997. I never flew it much to begin with & don't anymore & I don't have room to display it in the house (my wife put her foot down on that!). 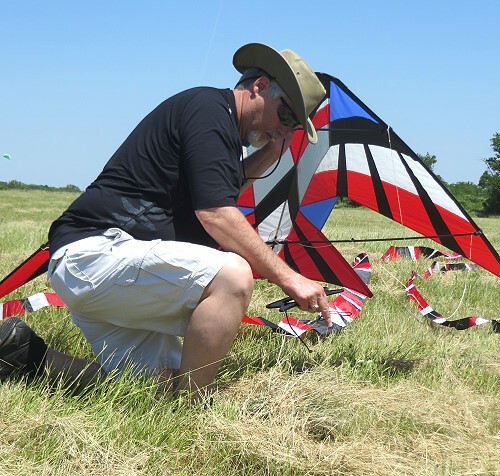 Anyone who has been around kiting for awhile will recognize the name, Bobby Stanfield, as his kite creations were among the best ever designed & built, as well as he & his kites winning top awards in the late '90's & early 2000's. 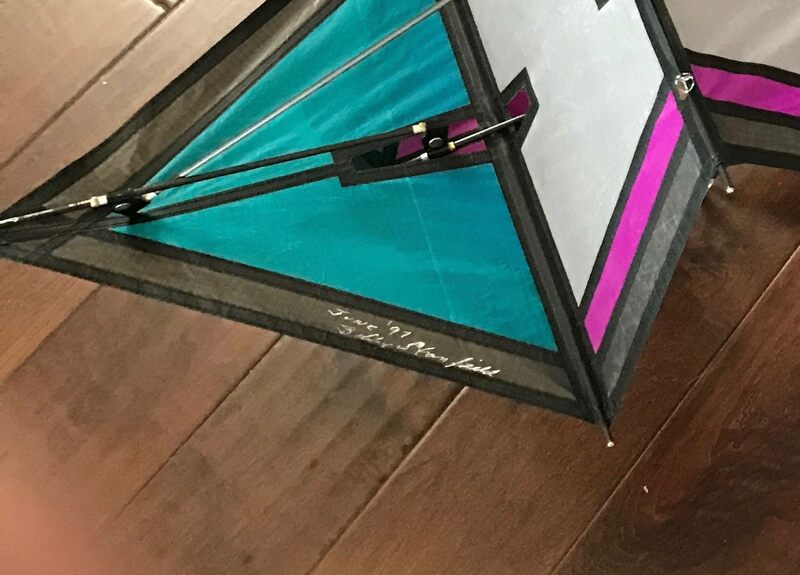 It's ironic that he just retired from kite making recently, so the kiting world will have only his existing kites to marvel over from now on. The details: Icarex P31 sail(s) w/ AFC pultruded carbon rod frame structure & Bobby Stanfield custom made fittings that are incredibly designed & implemented. 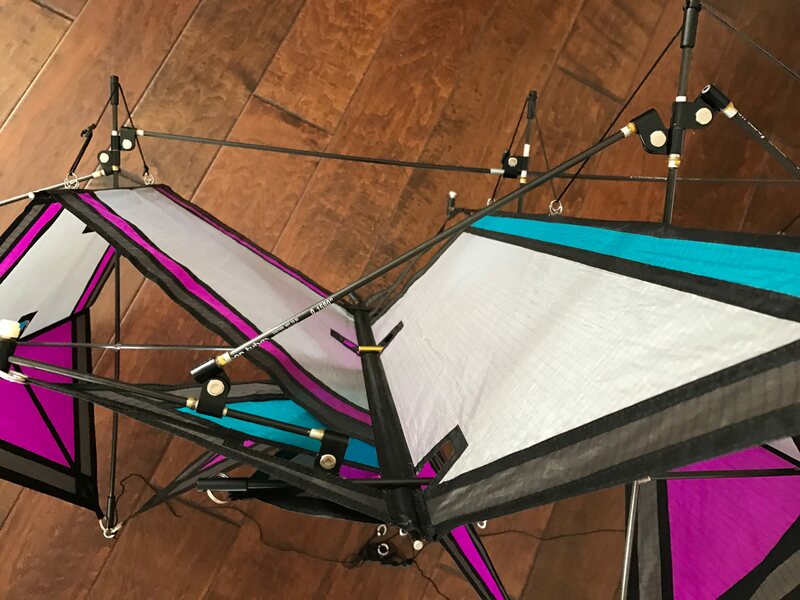 Kite has been flown a maximum of 6-8 times & the sail is crisp with no wear, holes, stains, etc. 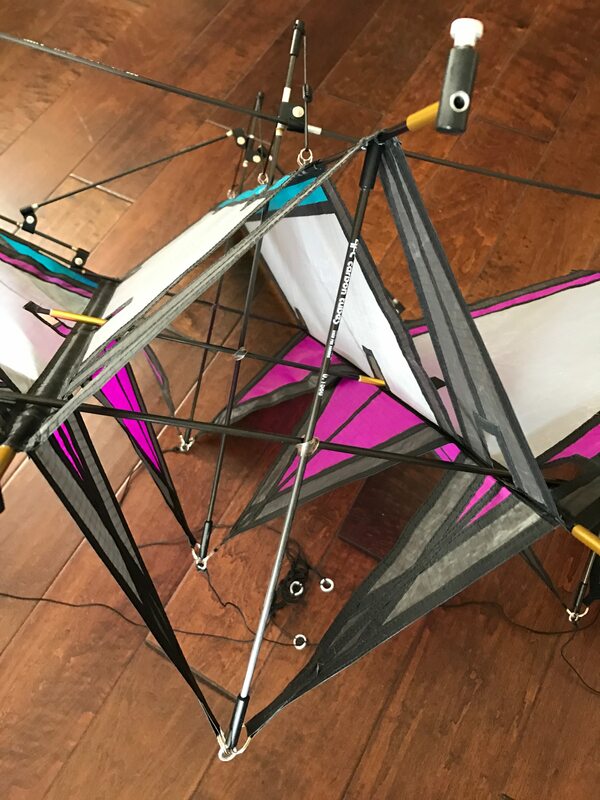 The kite is virtually in as new condition. 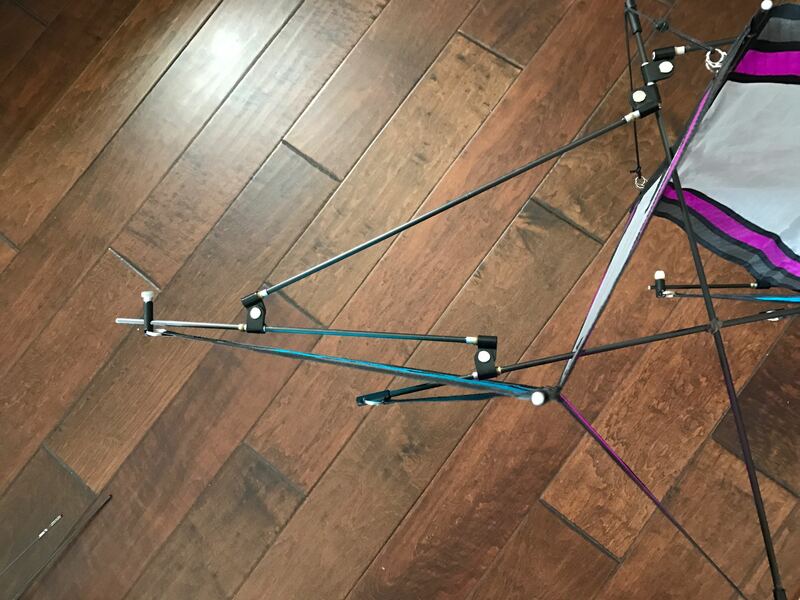 It is a fairly complex kite to assemble straight from the bag, but if you fly it regularly, it's not too bad. 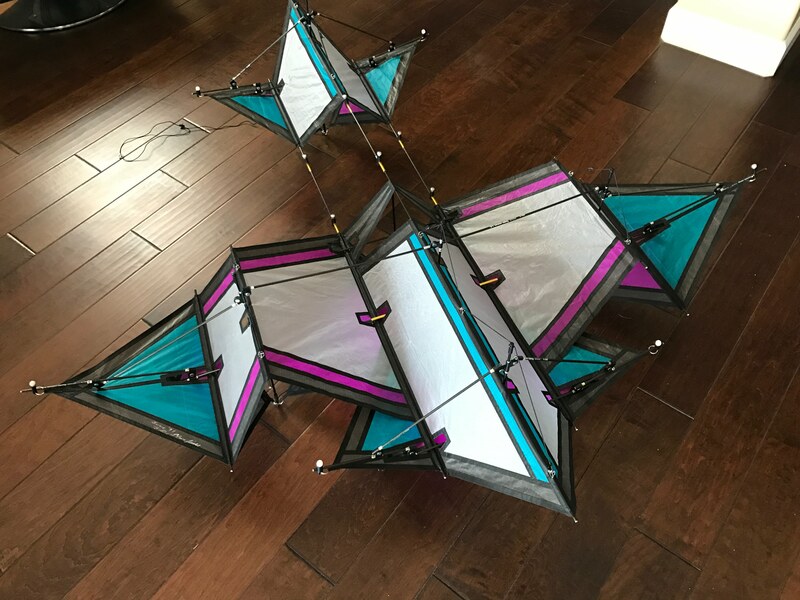 Plus, the kite can be broken down into sub-sections for easy assembly & travel. 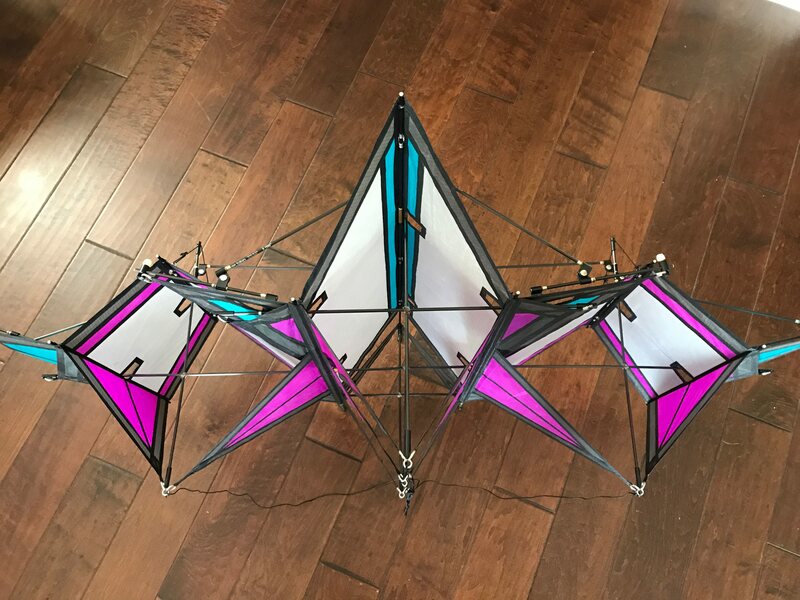 Here is a rare opportunity to own a true collectible kite to fly &/or to display! 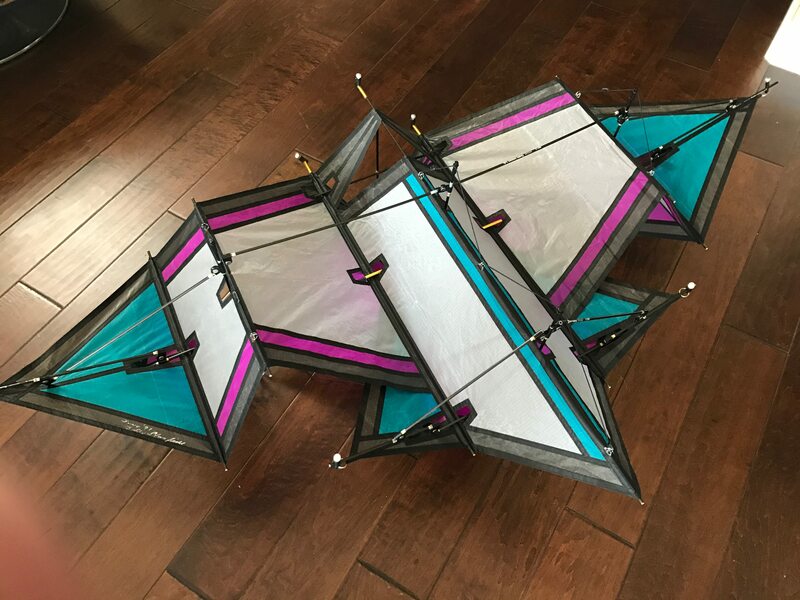 that is one hell of a kite. Congrats Charles... will you bring it to the next SDKC meeting? Thank you. Yes, I’ll bring it to the next meeting. Just a reminder, we have the OB Children's Kite Festival on our regular weekend, so the meeting will be the following weekend. But it seems a bit heavy. How many winds does it need to fly please? I’ll have it in the air soon and will let you know the wind range.